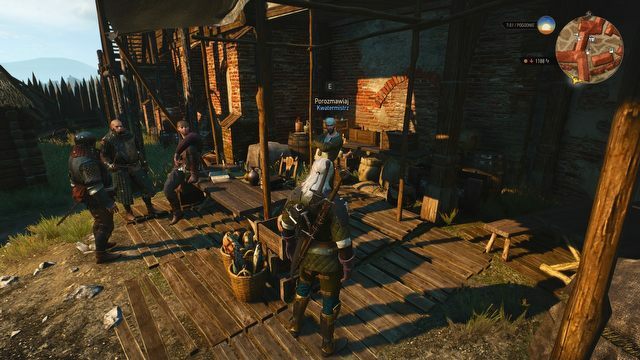 Although mod support is not the biggest asset of The Witcher 3, there’s still an active modder community surrounding the game by CD Projekt RED. Check out the best fan-made mods that came out since the release of The Wild Hunt. 18 months after the release and no one can argue the following statement: The Witcher 3 has lost the battle for mod support. 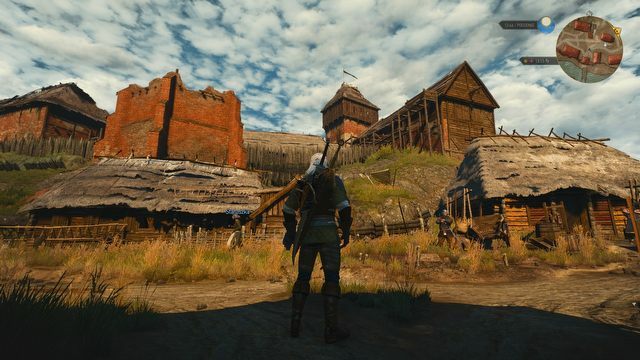 As soon as the gamers where done doing everything CD Projekt had prepared for them to do, Velen, Novigrad, and Skellige should have burst with countless new fan-made adventures. Except they didn’t. The devs had dropped the ball by releasing a toy that is the MODkit instead of a set of modding tools that would be worth its salt. And so I begin with an apology, my dear readers, because you will probably be disappointed with a lack of mods offering new locations or large-scale quests – unfortunately The Witcher 3 simply doesn’t bend that way. 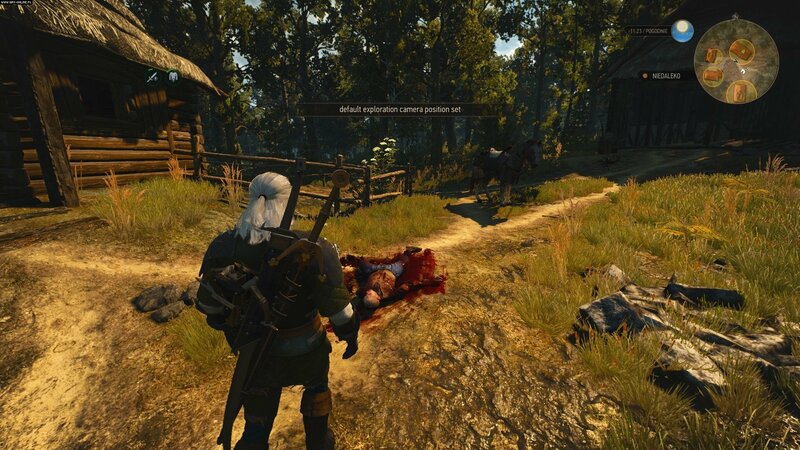 With that said, it’s not like The Wild Hunt is an object of universal hatred of modders. On the contrary, it’s surrounded by a sizable and quite active modding community that’s doing wonders with the game’s stubborn code. Every week sees new mods that replace character or item models, enhance visuals, change some gameplay aspects and even strive to slightly expand the game (hard as it may be, it’s not entirely impossible). So, assuming you don’t get your hopes up too high, you have a good chance to find some interesting things in this article. 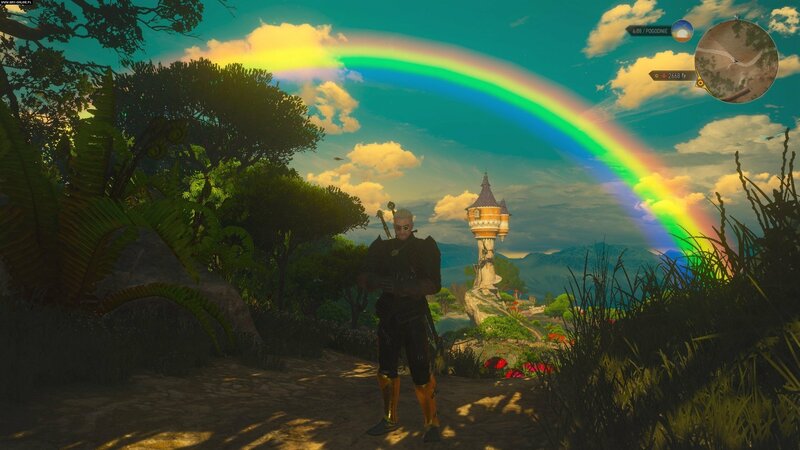 It is possible, though, that we simply missed something (there are thousands of Witcher 3 mods after all). If that’s the case, don’t forget to tell us about the mod in the comments. Each of the mods included in our list has been tested on the 1.31 version of the game from GOG.com (standard, not GotY edition) with all DLCs. As not all of them are 100% compatible, I’ve tried, where possible, to note which mods may interfere with each other. Before you edit/replace any files, make backups. Begin with your saved games. Remember that modding comes with a risk – mods may do as little as spawn various glitches and bugs or as much as serious damage to your saved games, or even the game files themselves. 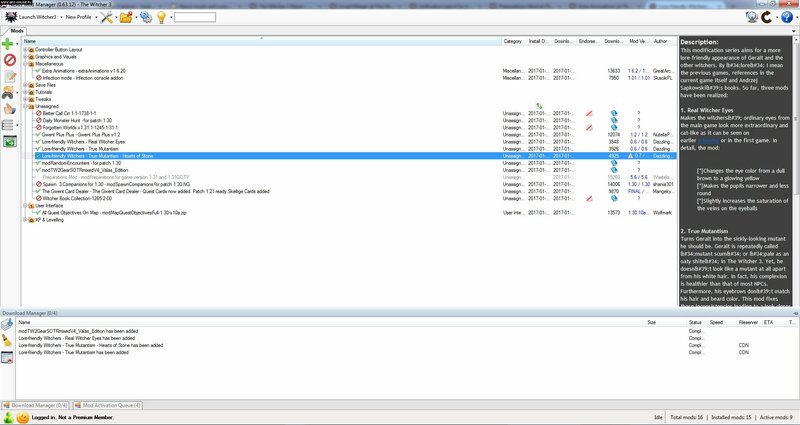 Configure the location of NMM’s temp folders (you can leave them as they are). Having installed NMM, you can download files from Nexus Mods directly to the app. Just click the “Download with Manager” option, under the Files tab, on the mod’s page. You can also download the files manually, then add them by clicking the green “+” icon. Mods can also be easily disabled – just click the red icon with crossed circle, after you select a mod. You can also skip the NMM altogether if you wish. In that case, manually create a folder called “Mods” in the Witcher 3 main folder, and then simply copy the mod files manually. Additionally, every mod description on this list features a detailed description of installation and/or configuration, as sometimes additional steps are required for everything to work. From now on, you should be able to open and close the console by using the tilde (~) key. Download the patch and extract it. Copy the “content” and “Mods” folders into your main Witcher 3 folder – replace files when asked. 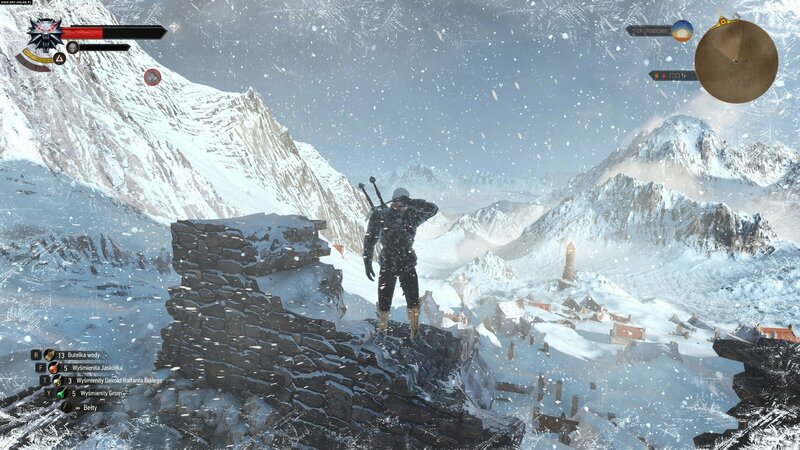 If you had the „standard” version, one thing to inform you of the patch being applied successfully will be the vanishing of DLC logos from the main menu, or random selection of music and background image each time you launch the game. No worries though, the patch itself changes only what it needs to – certainly not your saved games or settings. 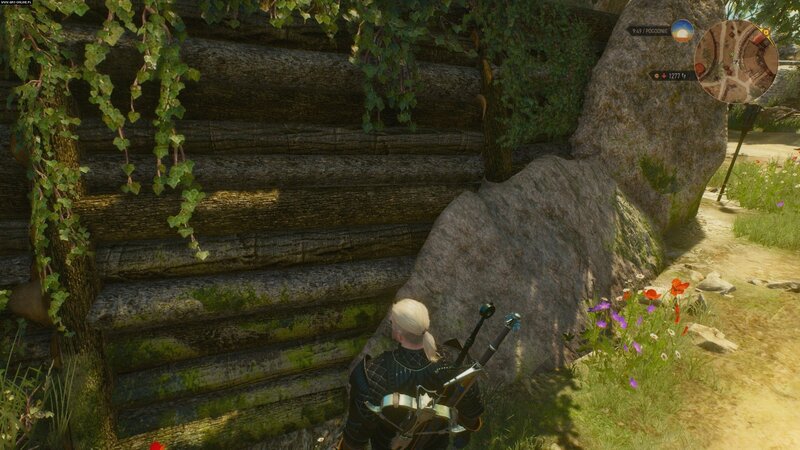 This window should appear when launching Witcher 3 after having installed the Unification patch. 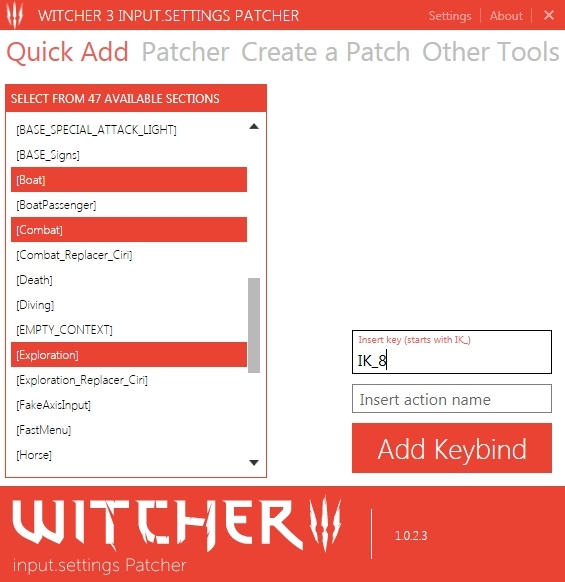 One final tool, useful when dealing with some mods – Input.Settings Patcher – is used to easily redefine key bindings, without the need to manually dig through the “input.settings” file. For now, it’ll be enough if you download the app using the link below and unpack it in a location of your choice – detailed Installation guides on how to use the Patcher will be included in individual mod descriptions. We begin with a mod that will only add fuel to the burning passion of all the anti-witcherists who seem to regard The Wild Hunt as an MMO game… despite the mod itself being the closest thing to new adventure quests we can get (at least for now). 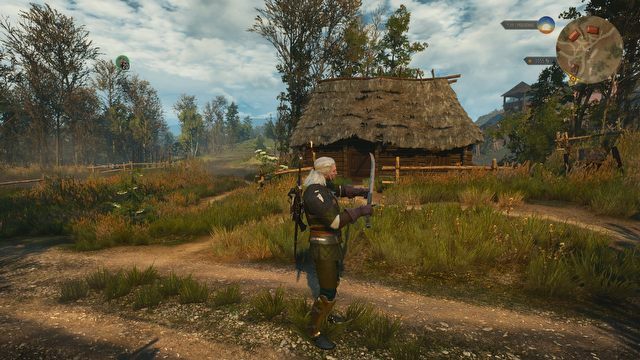 As the name suggests, the mod introduces daily quests to the Witcher universe. Each day, at midnight, a random monster hunting contract will appear on one of the message boards across Velen, Novigrad or Skellige areas. Once you accept the task, Gaunter O’Dimm himself will appear before you and, after a short conversation, invite you to take part in his game. Those one-day contracts come with a bit of gambling. As you accept the task, you also decide your reward – the stakes of a bet. If you hunt down the beast before midnight (its location is more or less marked on the map), you’ll get double the amount of money; otherwise, you get nothing. While not the most refined form of entertainment, the contracts can provide a decent amount of fun (and money), not to mention some sense of purpose after having cleared the map of “legitimate” quests. To be honest, installing this mod before you’ve cleared the game world is kind of pointless – mostly because, if you do, you can only keep guessing which of the yellow-glowing message boards features your new midnight contract. Caution! I don’t recommend installing this one through Nexus Mod Manager. I ended up with damaged game files, so it’s better to copy the mod files manually. As the mod is incompatible with the 1.31 version, it would be best to download it not from the official website but with the Unofficial 1.30-1.31 Mod Update Project package – find „Daily Monster Hunt – for patch 1.30.7z” on the files list and download it. 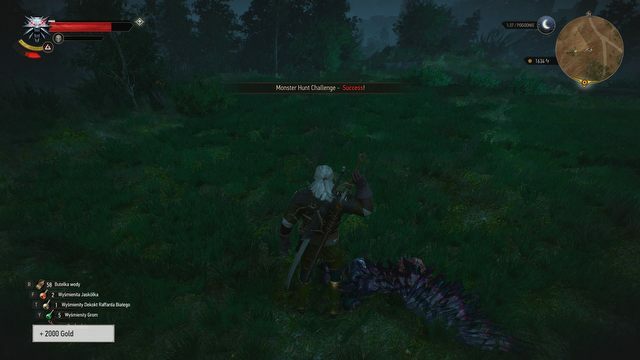 The Daily Monster Hunt Challenge tends to act up when paired with the mod Better Call Ciri (described in detail later on). 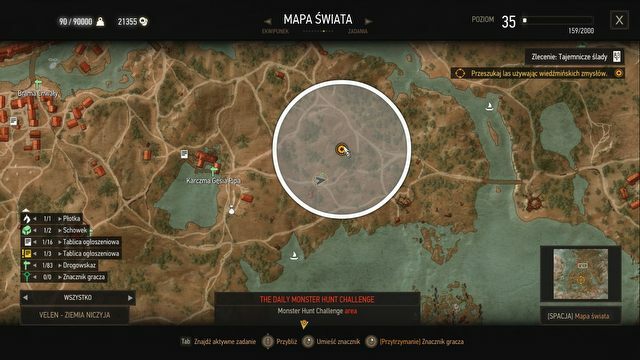 If you intend to install both of them, remember that the daily contracts are generated separately (in different locations) for Geralt and Ciri, but only one of them can take part in the challenge at a given time. Additionally, Script Merger detects a script conflict between the mods, and it would be a good idea to get rid of it (even if it doesn’t prevent you from launching the game). 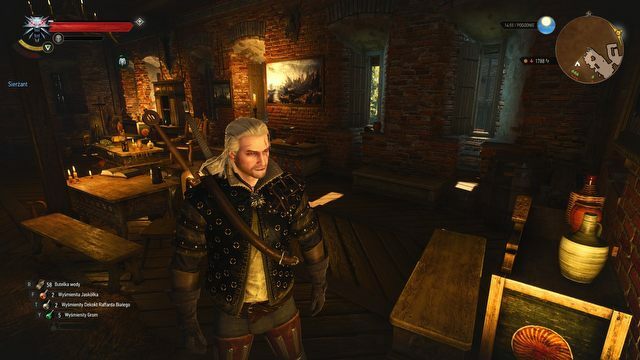 If you’ve taken some interest in the behind-the-scenes of The Witcher 3’s development, you know that a lot of planned content, including numerous books, didn’t make it to the final release. One of the fans decided to fix this, and dedicated his time to restoring as many books and texts as he could. The following mod is the fruit of his labor, placing around 70 new documents for you to read throughout the world of The Wild Hunt. The nice thing is that the creator didn’t just scatter them to the winds to decide where they land – he actually placed them where they make sense. Some of them can be bought, other found, and some are given as rewards for completing quests. 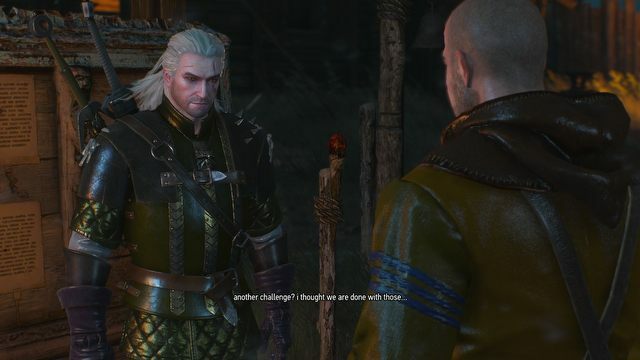 The list of changes offered by Witcher Book Collection doesn’t end here though. 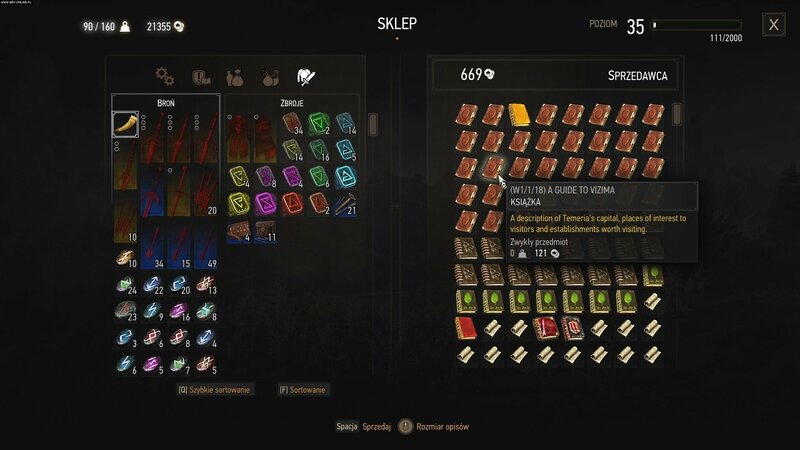 The creator of the mod went as far as to include each and every book appearing in both the first and the second Witcher! The books can be found rounded up in one place, though, in the bookstore at Novigrad market. Additionally, the author provided short descriptions for hundreds of items (such as books, crafting component and quest items). And one more positive change – the camerarius in Beauclair and the bookstore in Novigrad now have the missing books on monsters. Download the „Witcher Book Collection” archive and place its contents inside the “Mods” folder, in the main game folder (or simply use the Nexus Mod Manager). Download the „Forgotten Worlds” archive and place its contents inside the “Mods” folder, in the main game folder (or simply use the Nexus Mod Manager). CAUTION: The mod (and its description) contains spoilers – it lists the special locations visited throughout the main story lines of The Witcher 3 and both its expansions: Hearts of Stone and Blood and Wine. The White Orchard, Velen, Novigrad, Skellige, Kaer Morhen, and Toussaint all contribute to the vast world of The Witcher 3. Those of you who have completed the game, though, know that there’s even more areas to explore, as the adventure often takes us to additional unique locations – available, unfortunately, only for a short time. 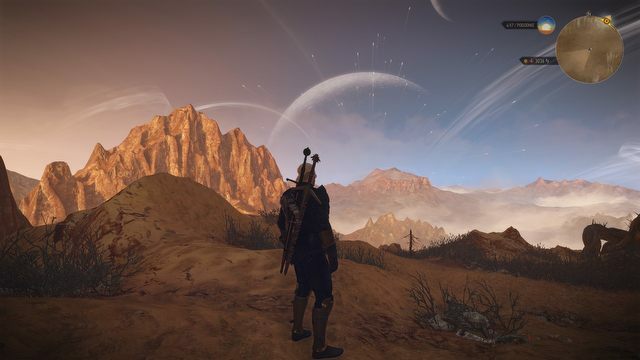 The Forgotten Worlds mod was created for those of you who would like to take another look at the fantastic worlds through which Avallac’h led Geralt, or simply kill some time in the Land of a Thousand Fables. With this mod, pressing one key combination will send you to any of those places. Of course, just because you get teleported back doesn’t mean that the quests completed in this or that location will once again appear in your journal – this mod is first and foremost a thing for tourists. While you will be able to battle the native creatures of the land, the NPCs (assuming you find any) will be rather tight-lipped. You also need to be ready for some glitches, including visual ones. And one more thing – it seems like the creator of the mod did not anticipate anyone wanting to return to their original world, so it would be a good idea to combine Forgotten Worlds with something akin to Fast Travel from Anywhere, to avoid getting stuck. [Ctrl] + [Num -] – Unseen Elder’s lair. The mod requires you to config the hotkeys for teleportation. The easiest way to do this is to download an “input.settings” file from the Forgotten Worlds webpage, and then use it to replace the one you have in “The Witcher 3” folder in your Documents. You can make this task easier by downloading the Input.Settings Patcher. app. Place the archive contents wherever you like and run the .exe file. Select eleven items on the list on the left: „[Boat]”, „[BoatPassenger]”, „[Combat]”, „[Combat_Replacer_Ciri]”, „[Diving]”, „[Exploration]”, „[Exploration_Replacer_Ciri]”, „[Horse]”, „[Horse_Replacer_Ciri]”, „[JumpClimb]” and „[Swimming]”. Type „IK_LControl” in the “Insert key” field on the right; just below, in the “Insert action name” field, type „FW_Enabled”. Then, click the red „Add Keybind” button. Of course, nothing prevents you from defining your own key combinations. 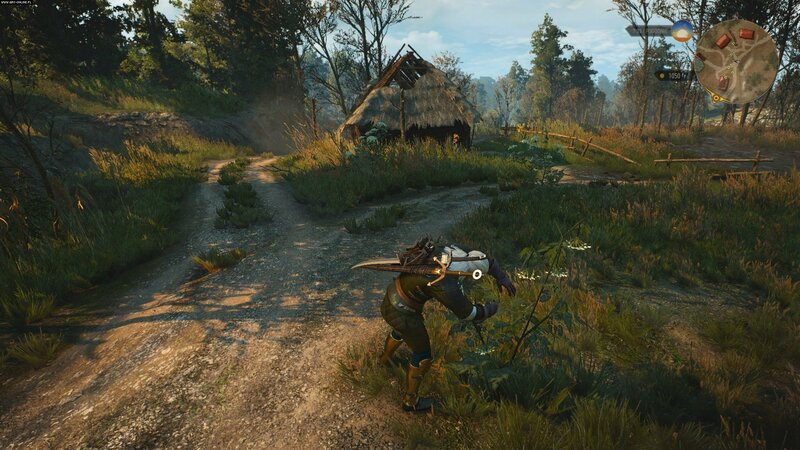 If you ask me, I’d say The Witcher 3 certainly doesn’t lack the opportunities to fight and kill something – monsters and bandits are looming behind almost every bush. Despite that, I’ve taken interest in Random Encounters – it’s a whole new barrel of fun for those of you who’d like their travels to be interrupted in a classic RPG manner: by random battles, or for people for whom too much combat is a blessing instead of an issue. Although the premise may seem a bit trivial, the creators of the mod have treated it professionally. 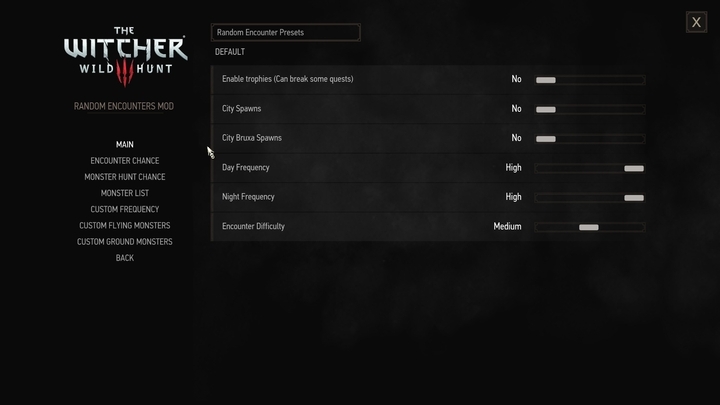 The mod’s config menu features a variety of settings for the encounters – you can set encounter rates for various types of opponents (land creatures, flying creatures, humans, Wild Hunt), separately for night- and daytime. What’s more, you can disable random encounters in towns or make it possible to gather trophies from the random enemies you defeat. 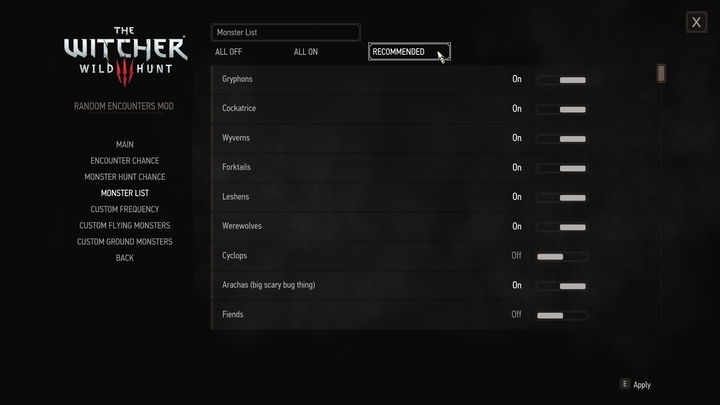 You even have a long monster list, from which you can select which species may or may not assault Geralt. 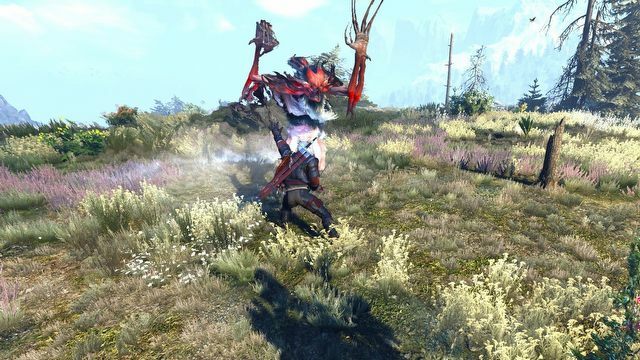 The mod also encompasses creatures from the Blood and Wine DLC. As the mod is incompatible with the 1.31 version, it would be best to download it not from the official website but from the Unofficial 1.30-1.31 Mod Update Project package – find and download „modRandomEncounters – for patch 1.30.7z”. Copy the „bin” subfolder into the main game folder. Copy the „DLCRandomEncounters” folder inside the “DLC” folder in the main game folder. Copy the contents of the „inputs.txt” (two lines) and paste them at the top of contents of the „input_azerty.ini”, „input_qzerty.ini”, and „input_qzertz.ini” files, which you can find in the bin/config/r4game/legacy/base folder. ...and paste it just above the line „<VisibleVars>” in the „input.xml” file (open it with Notepad), you’ll find it inside the bin/config/r4game/user_config_matrix/pc folder. In the game, a new option should appear inside the „Key mapping” menu – „Refresh Random Encounter Settings” – bind it to a key of your choice. Finally, open the „Random Encounters – mod” menu, under the „Mods” tab, and configure it according to your preference (or simply choose the “Default” option). Remember that every time you make some changes here, you’ll need to confirm them by pressing the key you’ve bound with “Refresh Random Encounter Setting”. Random Encounters conflicts with Better Call Ciri (described in detail later on). While the Script Merger can enable you to launch the game as usual, I’d suggest using only one of the two mods at a time. I suppose many a gamer would like for The Witcher 3 to be designed more like GTA V, allowing switching between several playable characters. Better Call Ciri offers a homemade replacement for such an attraction, enabling you to freely switch between Geralt and Ciri. And we’re not just talking about simple character model substitution – the witcheress has her own unique skill and abilities (the same we make use of during certain portions of the story), animations, and interface; she also has her own inventory, she can ride Roach and browse world map and journal. Unfortunately, for the moment Better Call Ciri is more of a curiosity than a serious proposition, because many things that should work simply don’t. 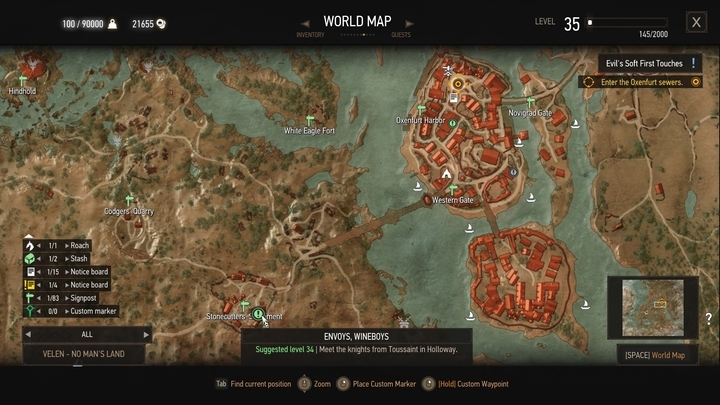 Ciri’s level is set to 0 and she cannot gain experience points, which means she cannot use potions or bombs either. What’s worse, she can neither meditate nor craft items, and the lack of witcher sense prevents her from completing most of the quests. Additionally, I couldn’t use any of her special attacks, not to mention calling Roach. 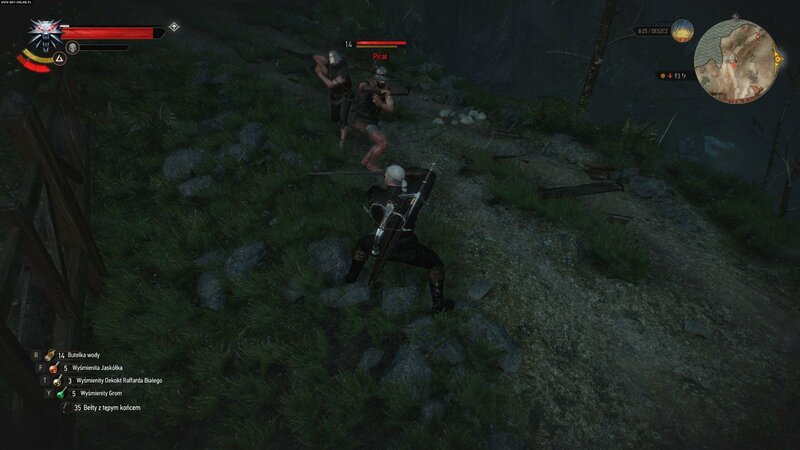 the NPCs around her were suspiciously quiet (even when they should be talking between themselves), and sometimes during conversations she was replaced by a… half-naked Geralt. Despite everything, the mod is a curious little addition – and if the creator fixes some things, it will become a truly interesting proposition. Copy the contents of the „Better Call Ciri” archive inside the „Mods” folder, in the main game folder (or use the Nexus Mod Manager). Copy the contents of the „Menu File” archive into the main game folder. Now you have to configure the keys – you can make this task easier by downloading the Input.Settings Patcher. app. Place the archive contents wherever you like and run the .exe file. Select four items on the list on the left: „[Combat]”, „[Combat_Replacer_Ciri]”, „[Exploration]” and „[Exploration_Replacer_Ciri]”. Type „IK_8” in the “Insert key” field on the right; just below, in the “Insert action name” field, type „BCToggleReplacer”. Click the red „Add Keybind” button and close the Input.Settings.Patcher app. Additionally, in the options you’ll find numerous parameters which you can freely configure – you can decide i.e. whether Ciri will be able to pick up items. 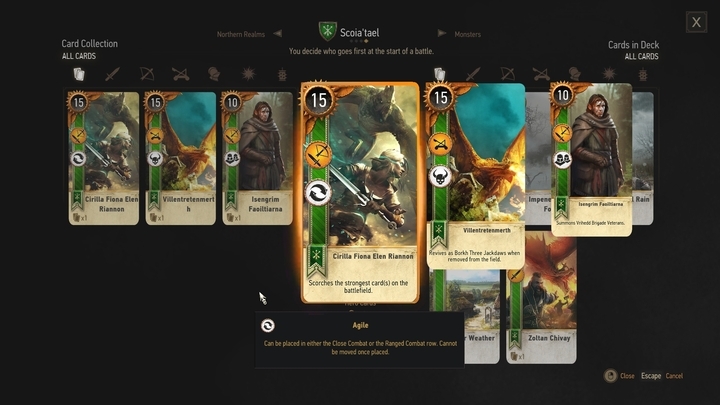 Ever since Gwent: The Witcher Card Game has been announced, the innovative card minigame from The Wild Hunt hasn’t been as alluring as just after the game’s release. Despite that, there’s no shortage of modders who are still tweaking Gwent. Apart from Gwent Deluxe, a similar thing is achieved by Gwent Plus Plus. 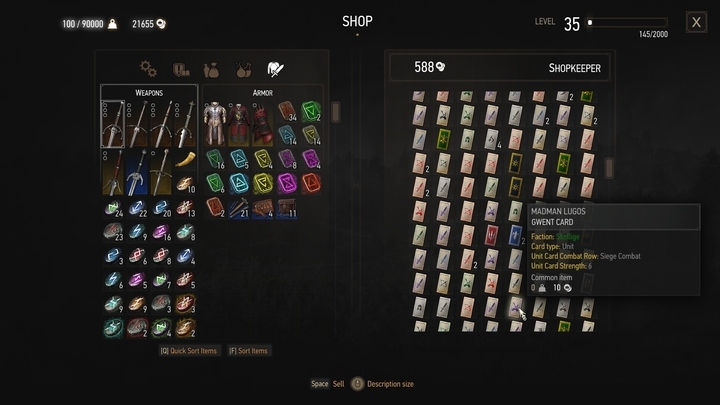 This is a project of an impressive scale: this mod doesn’t just revalue cards. First of all, a handful of new figures have been added, for example Warrior Nekker, or more siege units for the Northern Realms deck. Then, some units received totally new abilities – Villentretenmerth comes right back as Borch Three Jackdows after being killed, and the specification of Kaedweni Siege Experts has been changed – instead of “morale boost” they now have a “tight bond” special ability. All in order to improve the balance of individual decs, which – as we all know – wasn’t perfect in the vanilla. Download “Gwent Plus Plus” and export the file to the “Mods” folder, in the game’s directory. (Alternatively, use the Nexus Mod Manager). That’s about it – as far as the installation is concerned. Apart from that, we’d like to reiterate what the author says on the mod’s page: if you want to use the mod on an existing save (ideally, you should start a new game after installing the mod) you have two options: buy the cards from Yoana, in Crow’s Perch, or you quickly add the cards to your deck by typing “updategpp” in the console. As the old saying goes, “nec Hercules contra plures”, which – freely interpreted by Sheldon Skaggs – means that “every swordsman’s an arse when the enemy’s not sparse”. 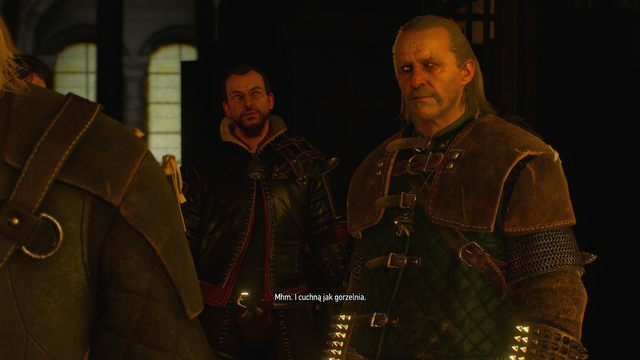 However, there is no empirical evidence supporting this maxim in The Witcher 3 – in fact, more appropriate saying seems to go along the lines of “every swordsman’s and arse, period”. 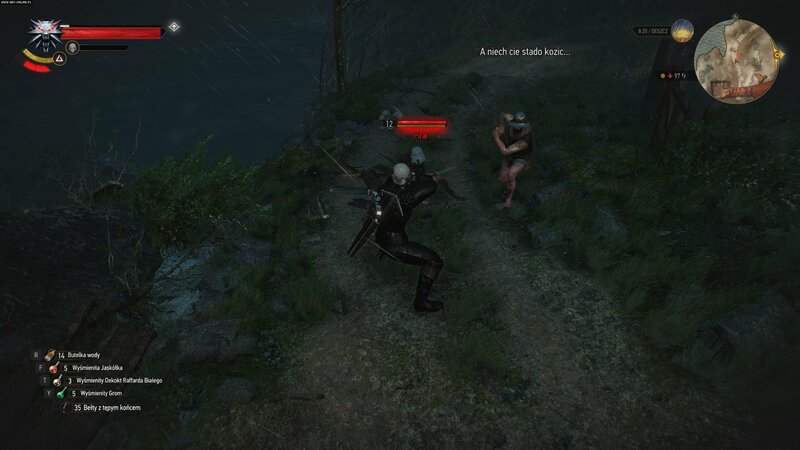 Fortunately, this aspect of the game is already under the modders’ scrutiny: Skilled Humans revamps the combat algorithms of human and anthropomorphic opponents that use melee weapons (bandits, guards, soldiers, giants etc. ), hence making them much more challenging. How does it work exactly? With this mod, the enemies block and counter much more often, don’t open their guard so foolishly and are quicker and more aggressive. In addition to that, they can also use some of the moves, which thus far were available only to the player: dodging, strong or quick strikes, and a modified version of rend, which can break Geralt’s guard). Bottom line – Skilled Humans is for everyone who is bothered by human folly (and low difficulty) in The Witcher 3. 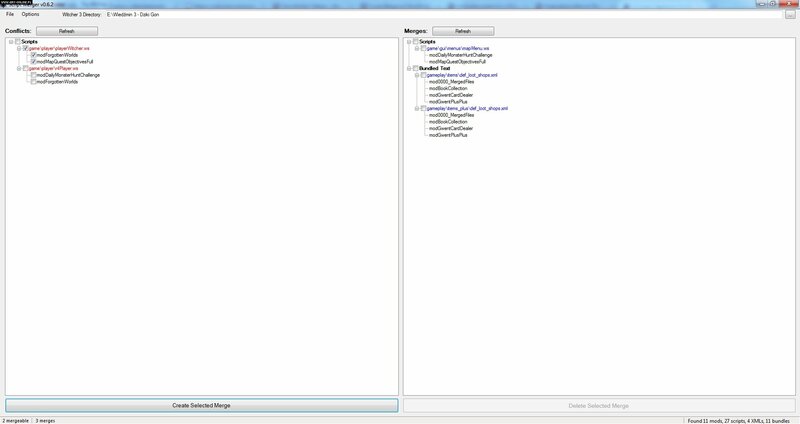 Download Skilled Humans 1.4 and export the file to the “Mods” folder in the game’s directory. (Alternatively, use the Nexus Mod Manager). The Gwent Card Dealer – buy ‘em all! The cards are scattered all over the game world, so completing decks in gwent requires dozens upon dozens of hours of playing. If you’d like to give a quick try to a different deck than the Northern Realms (or you just don’t have the patience to dash across the whole Novigrad to find a single card) then what will you do? Then, dear friend, you should go and download The Gwent Card Dealer, which allows you to purchase all existing cards (also from the Skellige deck) from a single merchant – the quartermaster in the Crow’s Perch. 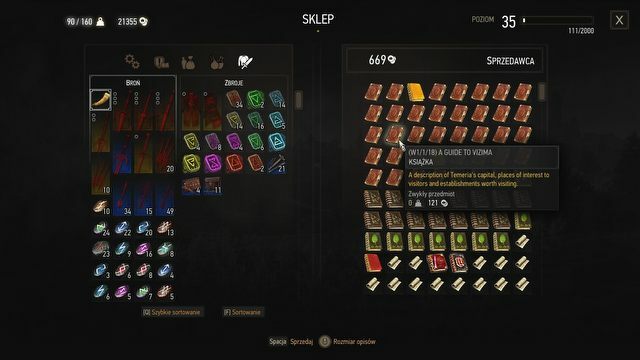 The idea is simple (the relentless completionists will surely find it despicable), but the creator of the mod has made sure that this mod isn’t just a fancier way of using a command in the debug console: in the vanilla mod, the rarest cards (those obtainable via quests) are only available if Geralt reaches the required level (35 for the core game, 50 for Blood and Wine content). 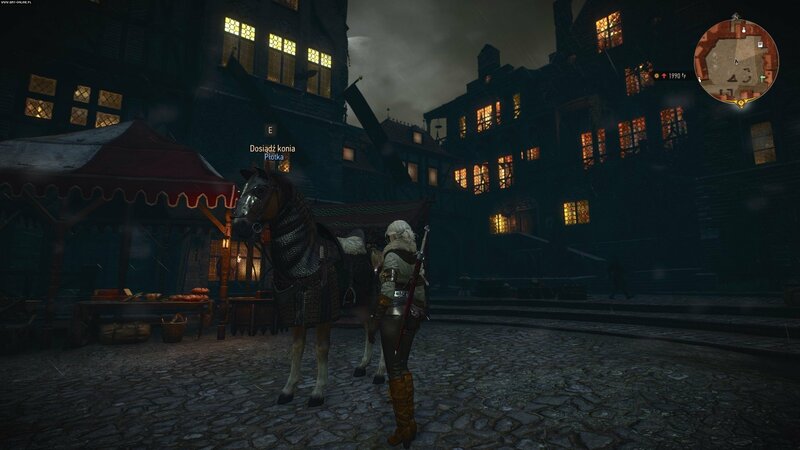 This is also a pretty expensive venture – it may not fit Geralt’s pocketbook. The mod is described as incompatible with the newest edition of the game, but you shouldn’t worry too much – it work’s like a charm with version 1.31. First, you have to decide which version of the mod you want: the one with the level restrictions I mentioned above (in that case choose the upper file), or without them – the lower file. Regardless of which one you decide to get, export the file to the “Mods” folder, in the game’s directory. (Alternatively, use the Nexus Mod Manager). 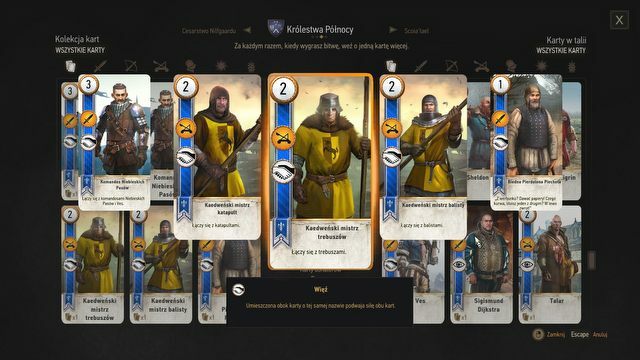 The Gwent Card Dealer is in conflict with Witcher Book Collection and Gwent Plus Plus by default – but you can use all three simultaneously; the Script Merger will help with that. Obviously, the quartermaster will not sell you the cards added by the Gwent Plus Plus mod. 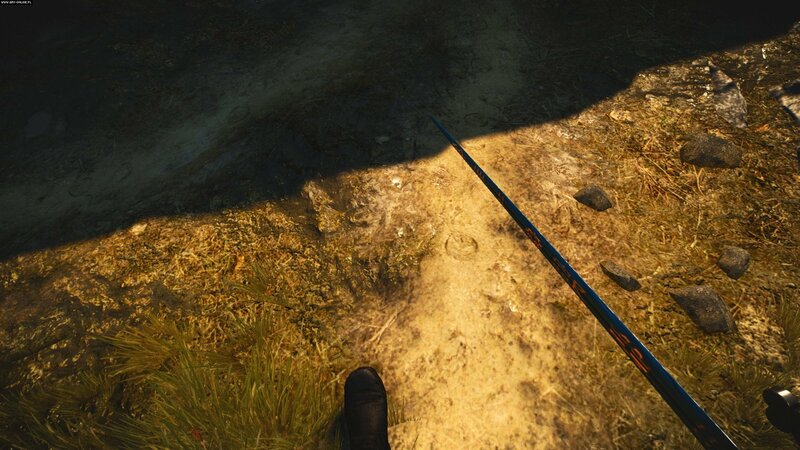 Call me grouchy, but there was nothing in The Witcher 3 that I found as annoying as the quest markers. Not being able to activate more than one quest at a time wasn’t cool. I would have found the game much smoother and legible if I hadn’t been forced to juggle the quest markers every five minutes. Having more markers means you’re able to decide where to go next in an instant, instead of riffling through the journal and peeping at the map every single time you want to check another quest. Fortunately, the modders have also taken care of that. 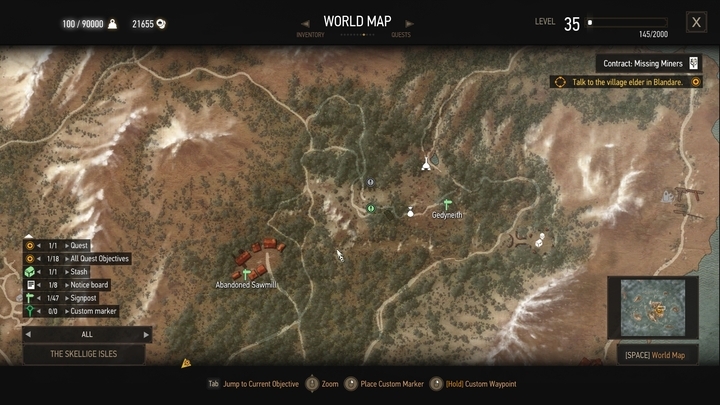 All Quest Objectives on Map puts a definitive end to that – after installing it, markers for every single unfinished quest from your journal will appear on the map at all times. But there’s more – after hovering the cursor over a totally neat marker, you will see the level requirements of that quest (also indicated by the icon’s color), as well as a short description of the quest. This mod also takes care of the merchant markers – they no longer disappear after you venture to another part of the world. However, this only works for the merchants you meet after installing the mod. Lite – all quests are marked with uniform, white icons. Even the author doesn’t recommend this one – it’s only here in case the mod would be incompatible with another one that is already installed. Standard – marks quests with color-coded icons. Full – adds merchants to the equation. Regardless of which one you decide to get, export the file to the “Mods” folder in the game’s directory. (Alternatively, use the Nexus Mod Manager). All Quest Objectives on Map is likely to cause conflicts with The Daily Monster Hunt Challenge i Forgotten Worlds – use the Script Merger to eliminate potential problems. 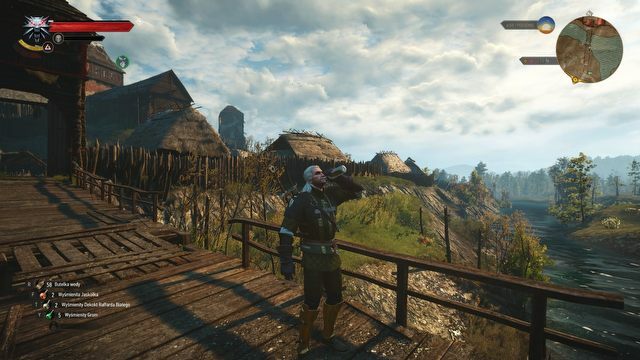 I guess I wasn’t the only one dumbfounded by the fact that Geralt drinks potions and eats food without visibly using any parts of his body. 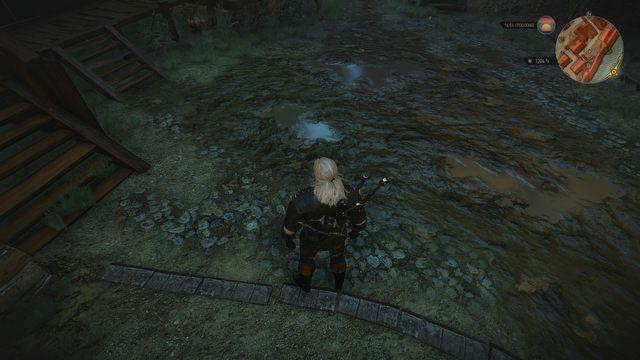 Actually, I don’t “guess” – I’m quite sure of that, since there are mods attempting to eliminate this “issue” of Geralt not doing certain things. Extra Animations is probably the most complex of these mods. Download “extraAnimations” and export to the “Mods” folder, in the game’s directory. (Alternatively, use the Nexus Mod Manager). Apart from that, the author also recommends swapping a couple of files in order to bind the key for sitting, however we can bypass that more conveniently, and more safely, by using the Input.Settings Patcher. Download it from here, export anywhere and run the .exe file. Then, from the list on the left, select [Exploration]. Now, go to the two text fields on the right. In the “Insert key” field, starting with IK_, write any key you want to bind. In the “Insert action name” field, write “Sit”. Now just click “Add Keybind” and it’s done. Unfortunately, it seems that the Extra Animations mod cannot work if The Daily Monster Hunt Challenge mod is active. I didn’t manage to run the game with both of these running. On the other hand, the conflict with the Forgotten Worlds and All Quest Objectives on Map mods was easily solved with the Script Merger. 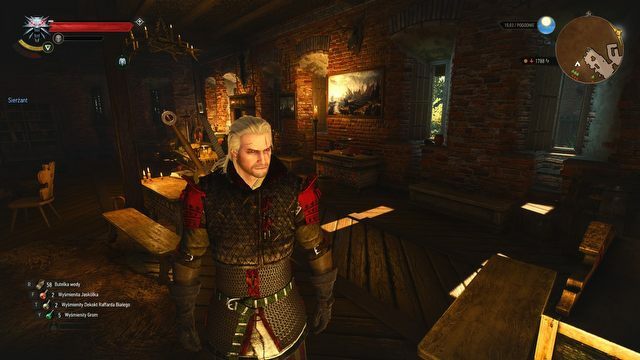 Witcher 2 Gear – so classy! I wouldn’t dare say there’s anything wrong with the wicked armors in The Witcher 3, but the mods adding more gear for Geralt are so abundant that I felt obliged to mention at least one of these. I chose to write about a particularly bulky and interesting project – The Witcher 2 Gear. 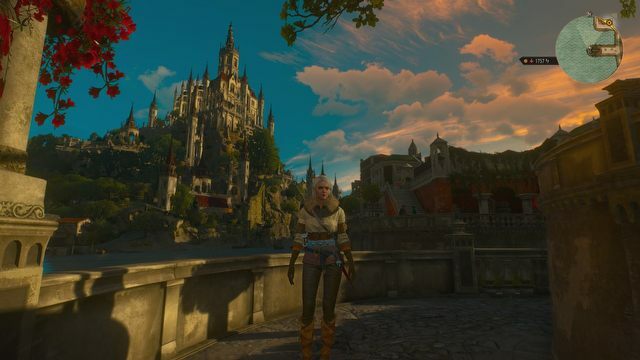 The name is rather self-explanatory: it introduces gear from The Witcher 2 into The Witcher 3. More precisely – it swaps selected armors from the vanilla game. 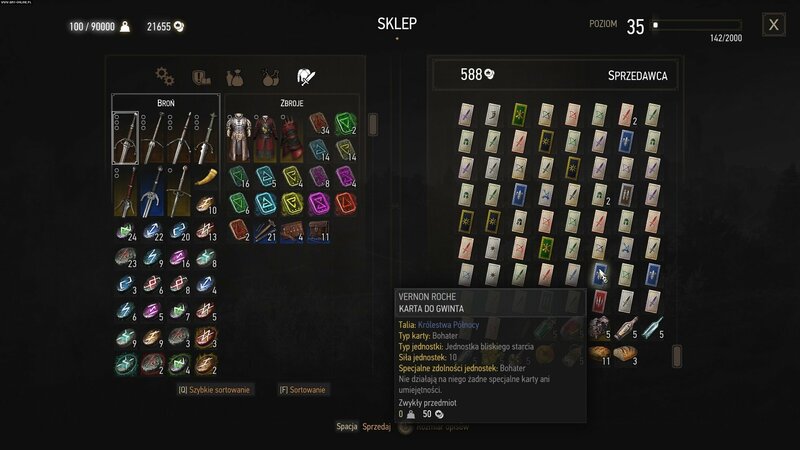 If you’re afraid this mod will delete your favorite stuff from the game, don’t worry – the author chose 40 most common (least effective) items; the mod keeps away from the witcher gear and other unique pieces of inventory. In my opinion, however, that wouldn’t be a huge problem, since the inventory from Assassins of Kings wasn’t bad at all. Mind you that the armors aren’t 100% identical as the originals – they have been revamped as to match the level of detail of The Wild Hunt. As for thee downsides, there are two: first, the choice of armors to be replaced in the vanilla seems rather random, and second, the vanilla statistics remain unchanged. In the most radical case, an elegant outfit was replaced with the Vran Armor, which, despite of its cool looks, adds only 1 damage resistance point. Last but not least, let’s also mention this mod includes armors, trousers, gloves and shoes, but only those worn by Geralt – NPCs are not affected. The author’s support for this mod ended before the 1.31 version, so you will have to download it from here – it’s an unofficial version prepared by another Nexus Mods user. Extract the archive to the “Mods” folder, in the game’s directory, or use the Nexus Mod Manager. Truth be told, when I was playing the game, I didn’t find anything disagreeable about the looks of the witchers. Until I saw this mod. This little modification actually contains two separate mods, which contribute to making the witchers look more in line with the source material. The first one takes care of the eyes – makes them glow in the dark and appear even more feline (this applies both to Geralt and the rest of the witchers). 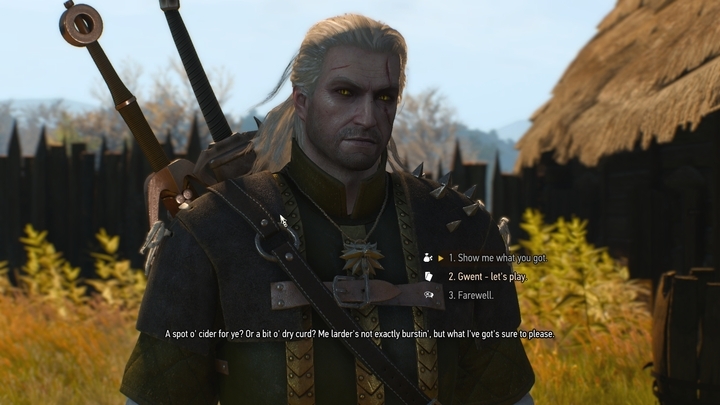 The other part of this mod is focused on the White Wolf himself, and it makes him… well, whiter. Geralt’s complexion is paler, and you can notice blood vessels on his cheeks. His eyebrows are no longer dark (because why would they be dark, in the first place?). Putting it shortly, the changes are purely cosmetic, but they reinforce the immersion significantly – you can really see why the common folk finds witchers intimidating and feels inclined to call them “bloody mutants”. 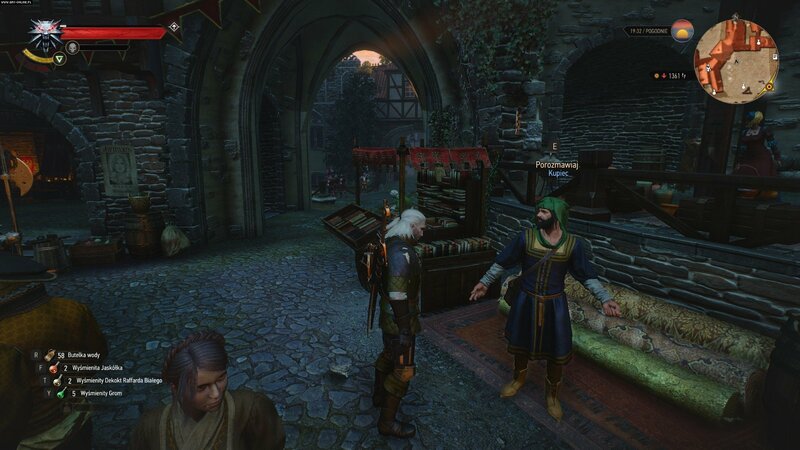 At the same time, the effect isn’t as severe as in the case of poisoning with elixirs, so Geralt’s countenance is still a magnet for the ladies. 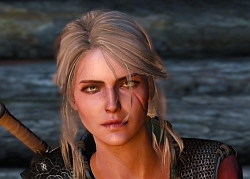 I also recommend complementing this one with another, similar mode: Lore Friendly Ciri. This applies similar changes to Ciri, washing up her make-up (which I never liked), changing the color of her eyes slightly towards pure green, and darkening her hair a little bit, so it looks more “ashen” and less like she was devoid of pigment like Geralt. The changes apply both to Ciri as a kid and a grownup. As I’ve already mentioned, Lore-friendly Witchers consists of more than one part. 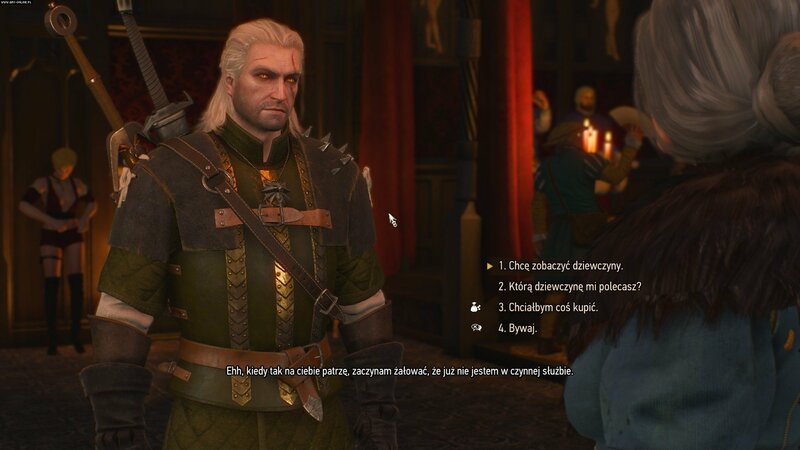 That’s why you need as many as three files to get the whole mod: “Real Witcher Eyes”, “True Mutantism” and “True Mutantism: Hearts of Stone” (the last one makes the mod compatible with the mark on Geralt’s face from Hearts of Stone). All three archives have to be exported to the “Mods” folder in the game’s main directory. (Alternatively, use the Nexus Mod Manager). It should also be mentioned that the author has prepared an alternative version of the mod, in which the color of the eyes changes, but the pupils are as wide as in the vanilla. If this sounds better to you, download the “Real Witcher Eyes: Vanilla Pupils” instead of “Real Witcher Eyes”. The Current version of the mod was released even before the GOTY edition, but it works just fine with the 1.31 version of The Witcher 3. At some point, we were all very excited about the first-person mod for The Witcher 3, so this article wouldn’t be complete without a tool allowing some camera manipulation. However, instead of that modification (called First person mode), I decided to discuss a much more complex tool called Immersive Cam. The number of possible configurations of the camera perspective is quite astonishing. You prefer the camera to be over your shoulder? No problem. Would you like to switch to FPP inside buildings? Got it. Maybe you’d like to reduce the witcher-senses zoom? Look no further. You can even have some sweet slow-mo effects during combat. Installing and configuring this mod is quite time-consuming, but it’s definitely worth it. As if this weren’t enough, the author also made sure this mod is compatible with projects such as Friendly Hud or Immersive Meditation (details below). Mad respect! The procedure begins as usual – download “Immersive Cam v 4.2”, and extract the archive to the “Mods” folder in the game’s directory. (You can also use Nexus Mod Manager). Then, go to the folder called Mods/modImmersiveCam/gui_setup and copy the “ImmCamMenu.xml” file into the following location: bin/config/r4game/user_config_matrix/pc. The mod will now be ready to use. However, adjusting the camera with sliders isn’t the coolest experience – you can bind some keys to control the point of view. Theoretically, you just have to swap “input.settings” and “input.xml” with their counterparts provided with the mod, but it’s safer to just edit them, so that you don’t override any other modifications. Open input.xml with the Notepad – it’s located in Mods/modImmersiveCam/keybind_setup, and copy the entire text from <!-- Immersive Cam Begin --> to <!-- Immersive Cam End --> (including these two lines). Open the original file „input.xml” (it’s in bin/config/r4game/user_config_matrix/pc) and paste the copied content into the analogical place (above the line “<!-- [BASE_CharacterMovement] -->”). Now you have to define key binds in the “input.settings” file. As always, I recommend the Input.Settings Patcher – if you haven’t used it yet, you can get it here. Unzip it anywhere on the disk and launch the .exe file. Tick the five following entries on the list on the left: “[Combat]”, “[Diving]”, “[Exploration]”, “[Horse]” amd “[Swimming]”. In the “insert key” field on the right write “IK_Insert”, and in the “Insert action name” field below write “CamSet”. Then press “Add Keybind”. The last important thing. 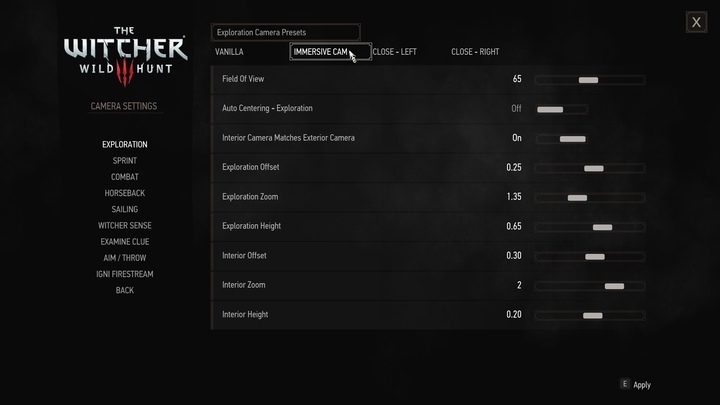 Right after installing it, the mod has to be configured in the game: Options/Mods/Immersive Cam/Camera settings). This applies both to the Field of View setting – if it’s set to 0, you may be unable to play the game. Selecting the “vanilla” option will reset the settings to the game’s defaults. It seems that this mod isn’t compatible with the Extra Animations mod, since I didn’t manage to run the game with both of these active. Conflicts with mods: Forgotten Worlds and Random Encounters were solved with the Script Merger. Ladies and gentlemen, this is the one mod to rule them all, an unquestionable favorite of the Nexus Mods’ community, the flagship representative of the visual upgrade mods (not that The Witcher 3’s graphics need much upgrading, but you can always go a bit further). This time, we’ve got a pack that doesn’t revamp effects such as lighting, saturation or depth of field – instead, this mod swaps the vanilla textures with ones of significantly higher quality. 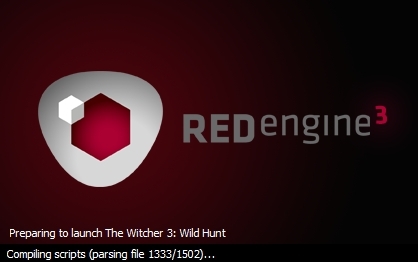 Download “The Witcher 3 HD Reworked Project 4.1” and export it to the “Mods” folder, in the game’s directory. (Alternatively, use the Nexus Mod Manager). 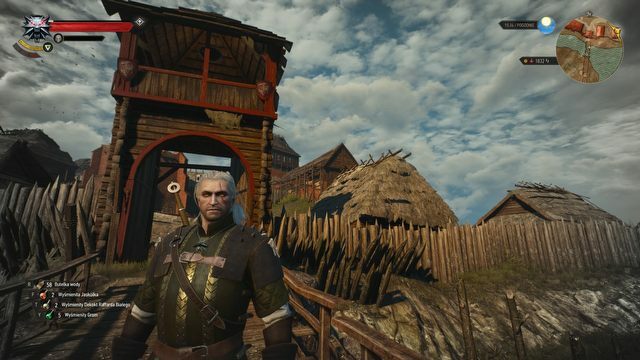 I packed more than 200 hours into the Witcher 3, and I still have some unfinished business in the game. I’ve been a great fan of both Andrzej Sapkowski’s books, and of games by CD Projekt RED since the beginning of times, which resulted in penning many articles about The Witcher game saga.